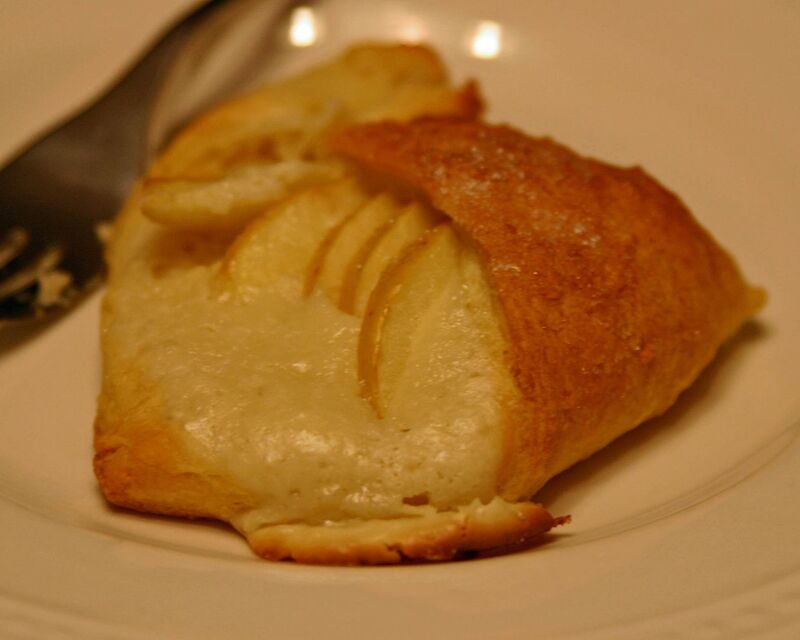 TheRustedChain - The Blog: Apple Cream Cheese danishes. Slice your apples thinly. I don't even take the skins off. Open your crescent rolls and seperate into triangles. Spoon in a helping of the cream cheese mixture. It'll be runny so the edges on your crescent roll will help. 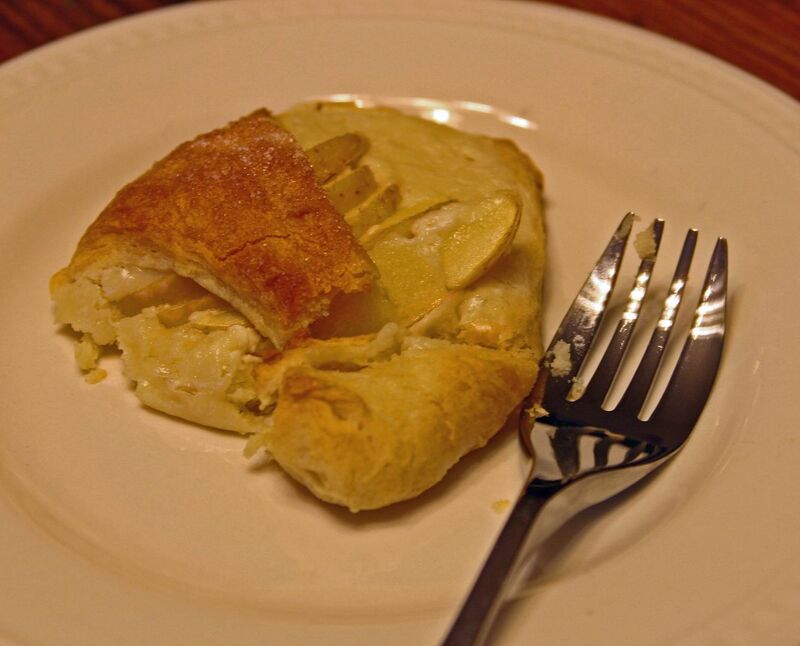 Top with several apple slices. So easy. Serve them to friends with a cup of coffee. Or to your family on a Saturday or Sunday morning. You are quite the shiz in the kitchen my friend!! I likey! I am making these tomorrow, since I have all of the ingredients. Yummy! Drooling! Just went apple picking and this sounds yummy! I bet it would be good too with puff pastry instead of the crescent roll dough. I have a package of that in my freezer! I will be trying this for sure! Happy fall to you! Sounds like a great recipe. I may have to try that one. Thanks for sharing! That looks really yummy! I'm going to have to try it! I am attempting to lose some extra baggage-lost 8 lbs so far!!! So instead of making this tempting, tasty looking treat, I will drool as I see it on my computer screen. And with coffee, sounds like heaven! YUM!